My mom has been trying to introduce us to ground cherries, but we haven't had success with the timing. We came close during our visit to Oregon, and she's even growing the plant in her garden, so I got my first glimpse of them. If I'd never heard of them, I am not sure what I would have made of the two boxes I saw in the market last night. 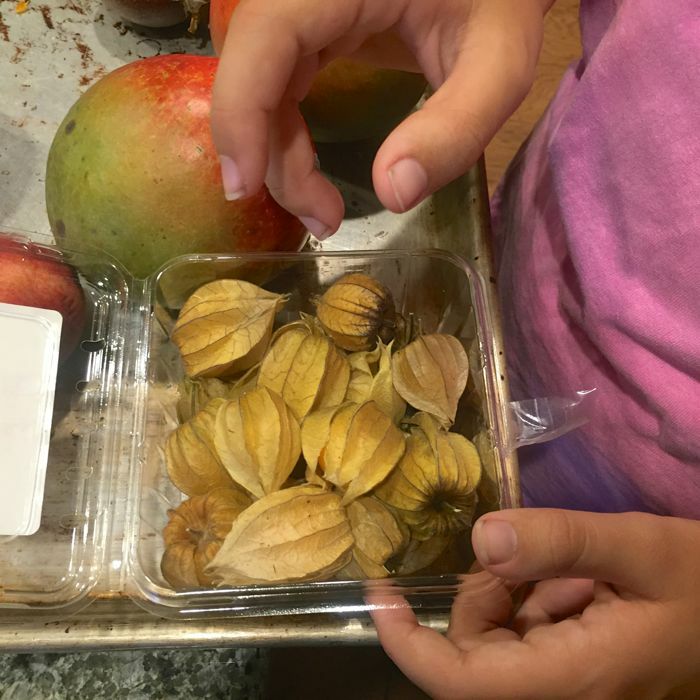 They were labeled "Golden Berries," but I recognized that tomatillo resemblance, and took a chance. Maria tried one for breakfast. The outer layer is almost husk-like. Peel back the papery petals, and inside is something that looks like gold cherry tomato. It's firm, and a bit sticky. Maria likens the flavor to a guava variety, and I agree. It's got loads of tiny seeds. She packed more into her lunch! 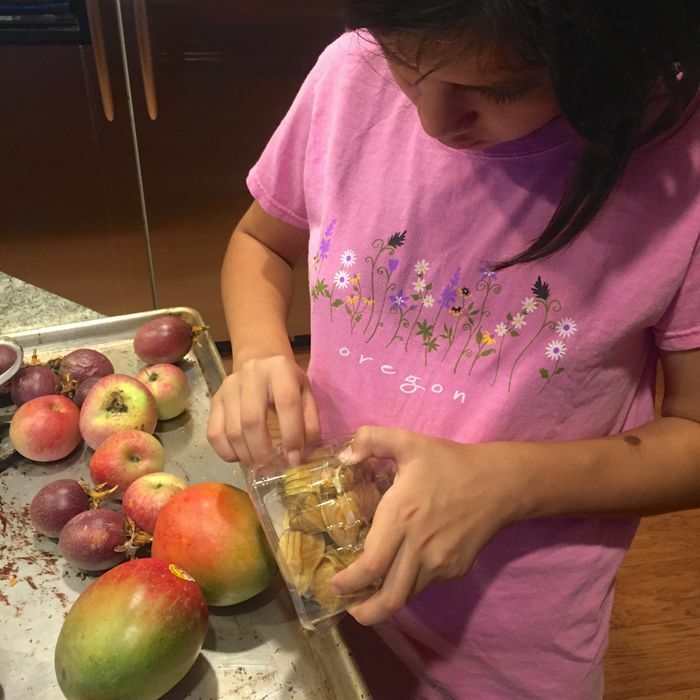 From our own garden we are enjoying a new round of apples, this time from the Fuji tree, and plenty of lilikoi, or passionfruit! Maybe we need to add another fruit to the lineup and plant the seeds from the Physalis. These are tickling a distant memory for me; I feel like I know them by another name. I'll have to dig deep to try to remember -- and cheer you on for having passionfruit right in your very own yard!